Launching Playgroups in August 2014! 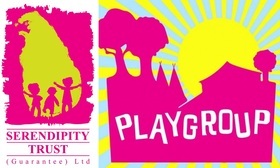 The Serendipity Trust is excited to be launching its Playgroup Program in August 2014! Click here to download the info sheet for parents/guardians. This will be a weekly (or twice-weekly for the ultra-keen!) 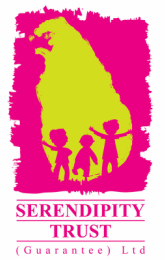 Montessori inspired playgroup held at Serendipity House in Talapitiya, Galle. Two weekly sessions are available; Tuesday afternoons 2pm to 4pm and Friday mornings 9am to 11am. Our Playgroup environment will provide a range of graduated activities that suit the unfolding developmental stages of children from confident walkers through to children reaching 4 years. Children can pursue tasks at their own pace with just a little help from Mum, Dad or other caregivers. This weekly group will not only enable children to enjoy creative play alongside other children but will provide a vital support for parents from the local area. To begin with, the program will be supported by a Playgroup Leader, who is a qualified and experienced Montessori Educator. She will be available at sessions from August until December to guide and support individuals and the group though a range of fun and creative play opportunities. Careful understanding of the development of infants enables the Serendipity Trust to create a place that meets their needs. The Playgroup offers a parent-infant community where young children can engage in activities that assist their psychomotor skills, language acquisition, growing independence, and their understanding of the world. Montessori educators often refer to the stage between birth and six as the ‘absorbent mind’. Throughout this period children learn with great ease and joy if given the right opportunities. The Montessori approach fosters children's love of learning and encourages independence by providing an environment of activities and materials which children use at their own pace. This builds self-confidence, inner discipline, a sense of self-worth and instills positive social behaviour. The approach forms the basis for lifelong learning. Besides the opportunity for socializing and play, one of playgroup’s main aims is to educate and inspire the parent/caregiver about Montessori methodology and how this child centered approach to learning can be applied in the home and all aspects of life. Practical life activities: These activities improve concentration and help develop orderly work patterns. They also help develop fine motor skills and foster emerging skills of independence. Sensory Experiences: These activities allow exploration of the senses by isolating and focusing on one area at a time. Language: These experiences help to develop listening and speaking skills, prewriting and pre reading activities. Music and Movement: Song and dance, use of musical instruments. Cultural Studies: Learning about our world- biology, geography, history as well as art and craft. *Please note: Maximum of 15 children per session; further sessions will be added as the interest in this group grows. The Serendipity Trust (Guarantee) Ltd is a not-for-profit organisation. Our Playgroup fees are 200/- per session per child (siblings under 9 months of age can attend free of charge). This fee is inclusive of the weekly 2-hour session, tea/biscuits for parents/caregivers, craft materials, cooking ingredients etc. Please bring one piece of fruit along to each session for a shared afternoon snack for the kids. Bookings are essential. Contact Serendipity House on 091 2248086 or info@serendipitytrust.com to register your interest.